Alongside the Danube and all the way to the Black Sea, many towns and cities have developed in connection to the river. Below we look at some of them for travel opportunities in search of local history and culture. One of the oldest settlements in Romania, the port city of Constanța is the one best-known as a tourist destination. Its name in ancient times was Tomis and it was there that Roman poet Ovid was sent into exile. The port of Constanta comprises a tourist port, and several of the city’s most important landmarks can be found nearby. These include the Archaeology Museum, hosting important pieces representative for the Hamangia and Gumelnița cultures, Greek and Roman items, small statues depicting various Greek deities and various works of art. Also to visit is the Edifice of Roman Mosaics, a complex which used to connect the upper part of the town to the harbor. It was built at the end of the 4th century AD. 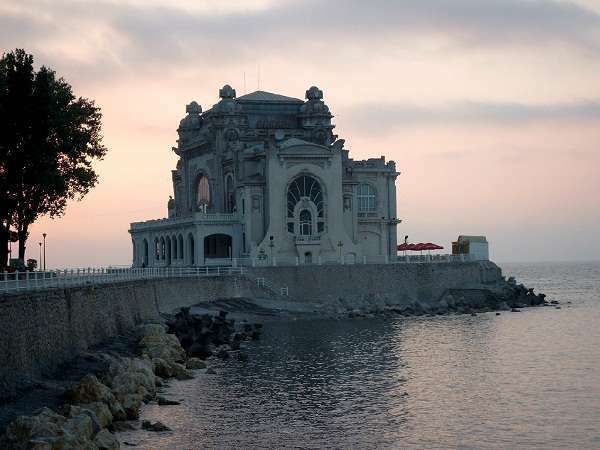 Other landmarks are the Genoese Lighthouse, built in the 1860’s to honor the Genoese merchants who established a sea trade community there in the 13th century, and the beautiful building of the Constanta Casino, in need of restoration. Also worth seeing is the Great Mahmudiye Mosque, combining Byzantine and Romanian architectural elements. Some 66 km east of Constanța is the town of Cernavodă, a port on the Danube. The town is known for hosting the Cernavodă Nuclear Power Plant, for the Anghel Saligny Bridge, built at the end of the 19th century and now a historic monument, and for the late copper age archaeological culture bearing its name. Testimony to the area’s ancient history are the ruins of the Capidava fortress, an important Roman castrum, 24 km away from Cernavodă. The history of the Danube port city of Brăila dates back to medieval times. It became part of the Ottoman Empire in the 16th century and saw a development peak towards the end of the 19th century, when it was one of the country’s most prosperous and cosmopolite cities. It hosted then significant communities of Greeks and Turks, among others. The city’s development at the turn of the century is visible today in its numerous historical buildings, constructed in a variety of rococo, baroque, art nouveau and neo-Romanian styles. In 2016, the city’s historical center, spreading on over 160 hectares, was declared a class A historical monument. Among the area’s landmarks is the Maria Filotti Theater, dating back to the 1840s. Throughout its history, the theater hosted performances of important international and local artists, such as actress Sarah Bernhardt and composer George Enescu. The Great Garden of Brăila, a public park set up in the 19th century, the memorial houses of writer Panait Istrati and of literary historian and critic Perpessicius, both born in the city, are worth seeing, alongside the Braila Museum, hosted in a building where the Armelin Casino used to run. Some 20 km north of Brăila is the port town of Galaţi. Its most recent history is marked by industrial development, building on the place’s centuries-old trade activity. The city, which hosted numerous plants and 16 foreign consulates at the beginning of the 20th century, was seriously damaged by bombings during the Second World War and was rebuilt in the 1950s. Some of the city’s landmark buildings are the Palace of Justice, a historical monument, and the palace that was the headquarters of the European Commission for the Danube. The History Museum is hosted in a building where prince Alexandru Ioan Cuza used to live while he was an administrator (pârcălab) of Galaţi. The Botanical Garden is located on the southern bank of the Danube, and includes a Planetarium and an Acquarium, with rare fish species from the Danube. 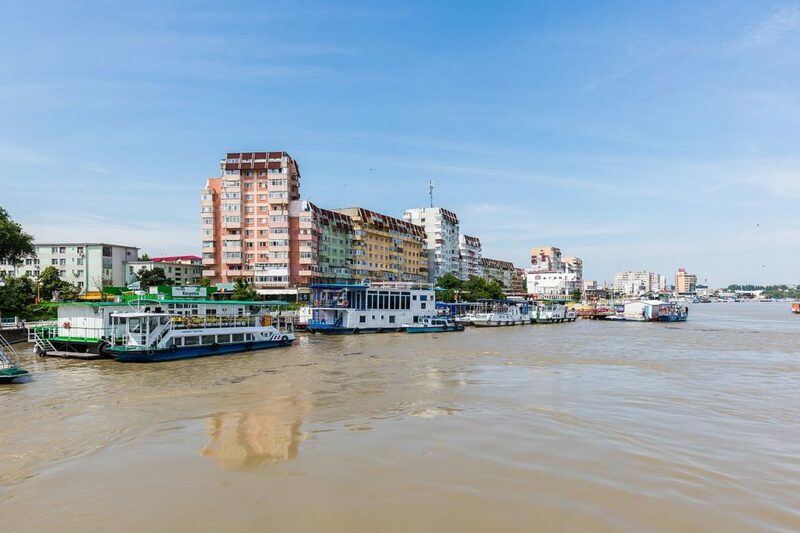 The port town of Tulcea can serve as a good base to explore the Danube Delta, a biosphere reserve and an UNESCO World Natural Heritage site. The history of the place dates back to ancient times, and, as it was the case with many other settlements in the area, it was under the rule of the Ottoman Empire for several centuries. The ruins of the Roman fortress of Argamum are about one-hour away by car. Tulcea can also be a starting point to explore the mountainous area of Măcin, dotted with picturesque villages. Another city on the Danube with a long history is Drobeta Turnu Severin, in Mehedinți county, close to the Iron Gates. Close to Turnu Severin are the remains of the Trajan's Bridge, one of the largest in the Roman Empire. 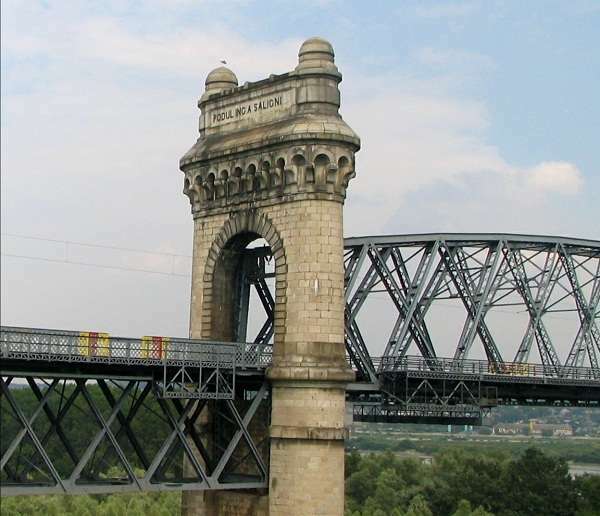 The bridge was 1,135 m long, and each bridge head had its own portal monument. The Iron Gates National Park is a good place for mountain tourism, cruises on the Danube River, bird watching, fishing and water sports. 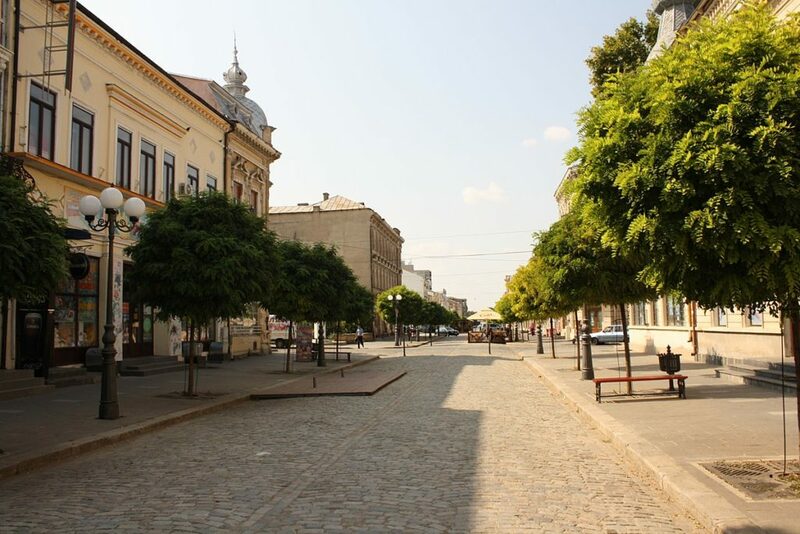 The town of Drobeta Turnu Severin will be the starting point of a new pilgrimage route crossing the region of Transylvania - Via Transilvanica. Other port towns on the Danube are Giurgiu, linked to Bulgaria by the Giurgiu - Ruse bridge, Călărași, Calafat, Bechet and Moldova Veche.